There is particular danger of thawing and further soil subsidence during oil and gas well operations in permafrost areas. 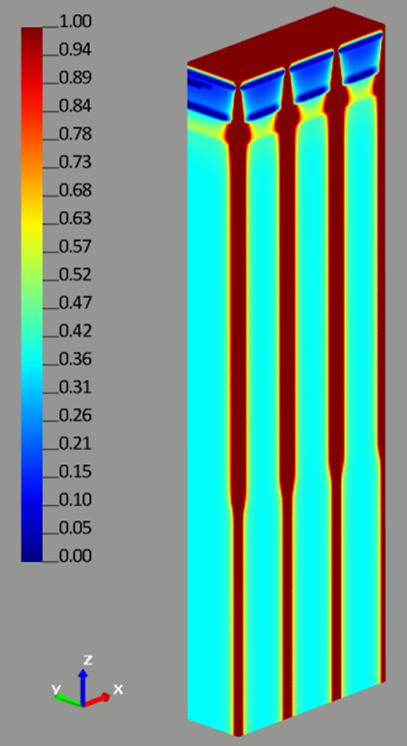 As a result, permafrost thermal regime simulation is important during the design of production wells. Today, Frost 3D Universal software is the most convenient tool for performing such simulations. Analyzing the relative distribution of unfrozen water content in the cross section of the borehole, we can determine the size of thaw bulbs around wellbores at specific points in time, draw conclusions about the effectiveness of borehole insulation and selected distances between them. Read the entire article about computer modeling of the thermal influence of boreholes on permafrost with Frost 3D Universal.